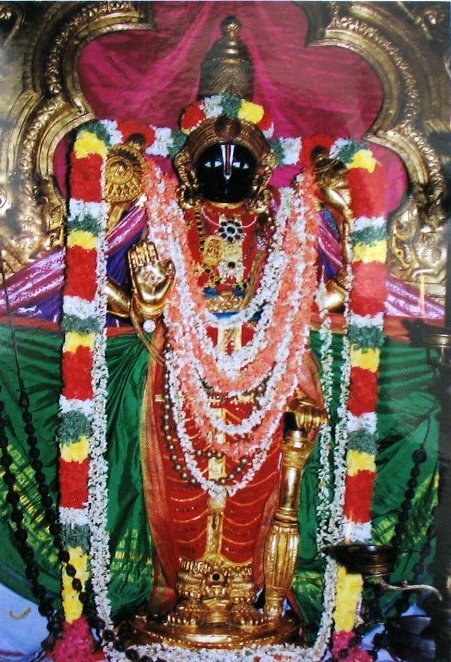 Here the presiding deity is Lord Cheluva-Narayana Swamy or Tirunarayana or Lord Krishna. In one of the annual report of Mysore Archeaelogical Department, it stated that people used to worship here even before Sri Ramanujacharya renovated this temple and offered prayer. From the records of that period there seems to Tamil influence and vaishnava worship in this area. Tamil influence one may argue from the name “Tirunarayanapuram”. The word “Thiru” is typically used in Tamil language. The Wodeyar kings of Mysore were special patrons of this temple and has bestowed special offers and protection. Raja Wodeyar in 1614 adopted vaishnava religion and offered a gold crown set with precious jewels known aas Raja mundi. Krishnaraja Wodeyar III also present one such crown known as Krishnaraja mundi. There is another crown — Vairamudi or Vajramukuta, which seems to be older than the other two crowns but no one knows where from it came. The annual festival of this temple is known as vairamudi festival and it draws lakshs of people. 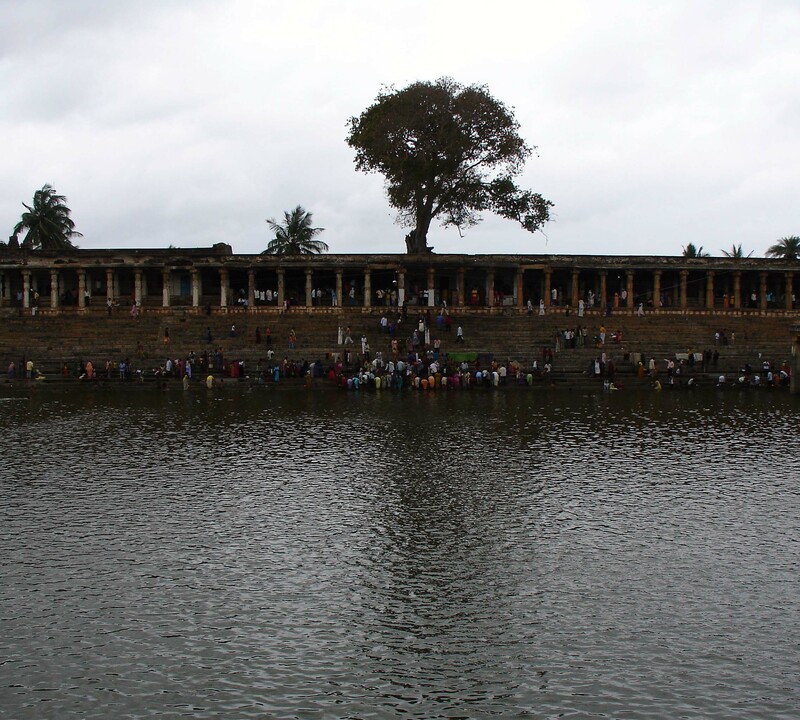 Melukote is a famous piligrimage center situated in Mandya district, Karnataka. This place is also known as Thirunarayanapuram, Yadavagiri or Yadugiri nestled in the Cauvery river valley. Two temples reside in this town, one on the foothills and the other on top of the hill. In the twelfth century the great Srivaishnava saint Ramanujacharya lived here for more than 14 years. These temples existed even before Sri Ramanujacharya came to this place. The presiding deity of the temple on the foothills is Lord Vishnu known as Thirunarayana or Cheluvaraya installed by Lord Krishna. 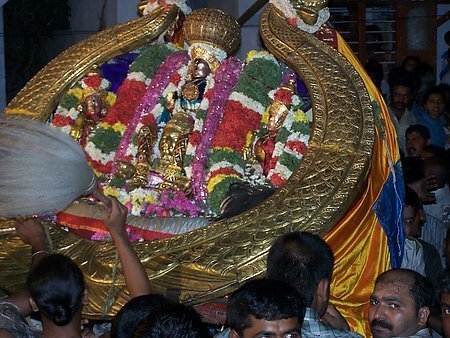 The utsavamurthy (small metal statue representing the main deity, that can be taken on a parade) is known as Cheluvapille Raya or Cheluvanarayana Swamy whose original name is Ramapriya. Legend narrates that Shri Rama and his son Kusha has worshipped this statue and hence the name Ramapriya. This utsavamurthy was lost when the moghuls invaded the place and it was recovered by Ramanujacharya from Bibi Nachiyaar the daughter of Mohammed Shah. Bibi Nachiyaar was given this idol as a toy to play with and instead of playing with the idol, she worshipped it and became a devotee. She was heartbroken when her dad without consulting her gave away the statue to Sri Ramanujacharya. In search of her Lord she came to Melukote from Delhi on horseback and saw the statue and collapsed in front of it. Her soul in the form of a jyothi (flame) merged into the idol. 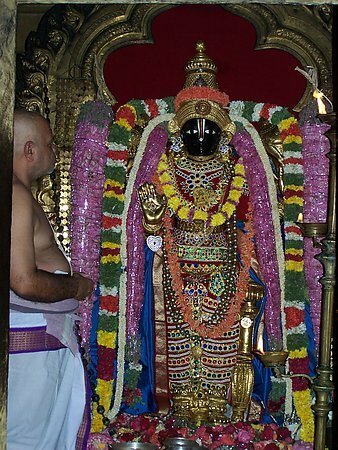 Hence in honor of her devotion, she is worshipped along with the lord and her idol can be seen at the feet of both the main deity and the utsavmurthy. There are three ponds in the town, two on the foothills and another on top of the hill. 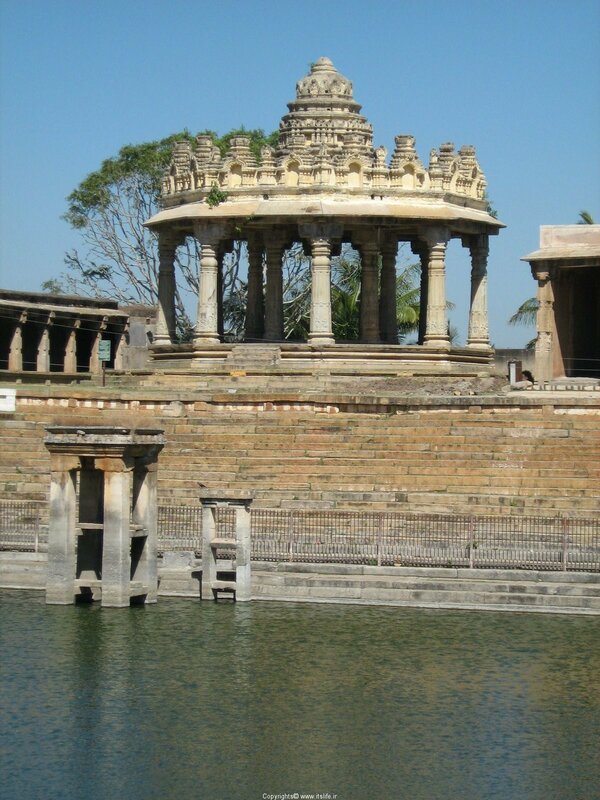 Beautiful stone carved pillared mantaps (pendals)surround the pond. The temples have been under the patronage of the Mysore royal family and is endowed with valuable jewellery given to the lord by the Wodeyars. Two beautiful crowns have been gifted to the Lord by the Wodeyars known as Krishnaraja-mudi, Vairamudi or Vajramukuta and another crown, which is older than the other two is given to the Lord by an unknown person. The Vairamudi festival, which is the chief annual celebration in the month of March-April is attended by more than 400,000 people. On this day the main deity Tirunarayana is adorned with a diamond corwn and taken out in a procession. It is believed that this crown is not to be seen when it is not adorned by the Lord so, the chief priest is blindfloded while taking the crown out from the treasury. A shrine houses Vishnu’s consort Yadugiri Taayaar. The hall in front of this shrine comprises of many ornately carved stone pillars. Each pillar is different from the other depicting scenes from various Hindu epics. The intricate latticework on the pillars is awesome. The other temple is on one of the rocky hills at a height of 1,777 mtr above sea level. The majestic gopura is visible from far, which is the Yoganarasimha temple of Melukote. Legend says that the idol was installed by Prahalada, son of Hiranyakashap. This temple is referred in the holy texts of Vedic literature, which dates back to thousands of years. 400 steps lead to this temple. It is believed to be one of the seven holy centers of Narasimha worship. Vairamudi Brahmostava will be celebrated at Melkote. This is an annual festival which gathers more than 2 lakh devotees of Lord Cheluva Narayana. Thirunarayana Puram another name for Melkote adorns a festive grandeur on this day when the Lord adorns the legendary diamond studded crown, the Vaira Mudi. It is believed that Lord Krishna Himself presented this crown to Cheluva Narayana. The Lord is taken in procession on the golden Garuda with His divine consorts Sridevi & Bhudevi, around the main streets of the city. Vairamudi, the diamond crown was stolen from Sriman Narayana, when he was asleep at his abode in the Ksheera Sagara (Milky Ocean), by Virochana. Virochana was the kind of demons and the son of Bhakta Prahlada. Garuda was asked by the lord’s devotees to bring back the crown. Garuda went after Virochana to the neither world, fought with the demon king and flew back with the crown. According to the legend it is believed that Vairamudi lost its blue gem on the crest while Garuda was bringing it. The blue gem is believed to have fallen near Nachiar Koil, a temple town in Thanjavur district of Tamil Nadu. The gem turned into a stream, called the Manimuttaru, which to this day flows in Thanjavur. On his way, he saw Bala Krishna playing with his friends in the mid day sun at Brindavana. Garuda protected the Bala Krishna from the sun by placing his wings as the shade & placed the crown on his head. The local legends of Melkote claim that Krishna presented Cheluva Narayana with this crown. Lord Cheluva Narayana is the son of Acharya Ramanuja, who was at Melkote for 12 years. It is believed that Cheluva Narayana, was also worshipped by Lord Rama, the King of Ayodhya. 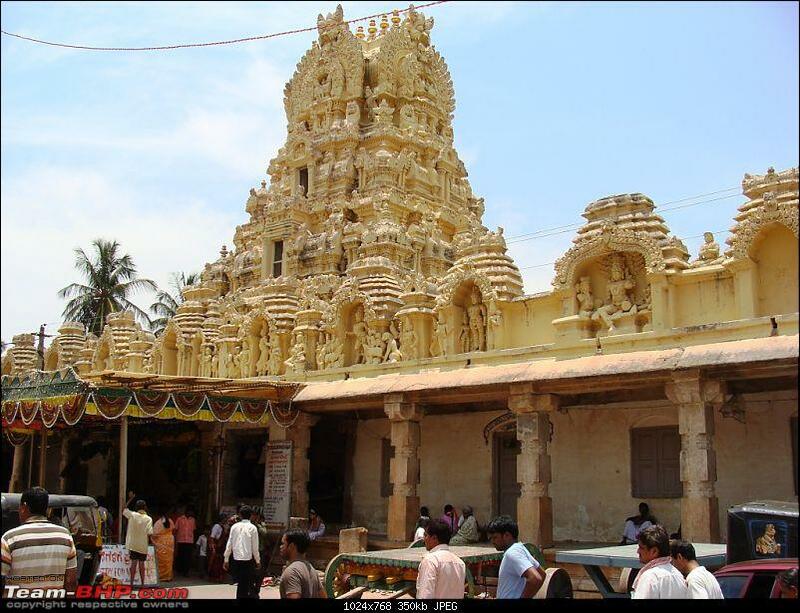 Thirunarayan Puram now Melkote has the temple of Lord Narasimha which was consecrated by Prahlada. This has been a birth place for many Vaishanvite Acharyas. There is a research center for spiritual learning and Sanskrit Academy in the sylvan setting of Melkote. Large number of devotees throng Mandhya district, on the previous night to witness the Procession of the Lord. The whole town of Mandhya prepares for the event. The preparation for the Brahmotsava starts well before 2 weeks. Actual celebrations take place for 13 days. Garudotsava is celebrated a day before the Brahmotsava at Melkote. The district administration of Mandhya makes rigorous arrangements for bringing the Vairamudi crown from Mandhya treasury to the temple amidst stringent security measures. It is believed that the crown must not be exposed to daylight. Hence it will be placed in a special casket. Under vigilance of Mandhya police it arrives at the boundaries of the town. It is from here taken upto the temple with honors in a special palanquin. It reaches the temple by evening. The crown is placed in front of sanctum of Sri Acharya Ramanuja and the head priest places the Vaira Mudi and fits it to the statue of the Lord Cheluva Narayana. It is tradition that even the head priest should not look at the Vaira Mudi in naked eyes till it is fitted to the Lord. Hence the priest covers his eyes with a silk cloth while fitting the crown. This takes place in the night and then the Lord and his consorts are traditionally decorated and procession continues to the dawn of the next day. The quiet town of Melkote comes to life with the grandeur and majesty of the procession. Rajamudi, another crown studded with precious stones is adorned on the Lord on the next day of the Brahmotsava. One can reach Melkote from Bangalore by car/taxi, by travelling on the Bangalore Mysore state highway and reaching the Mandya town. Just after Mandya, there is a right turn which goes to Melkote. Alternatively, one can take any of the numerous trains that go from Bangalore to Mandya and then take a bus/taxi from Mandya to Melkote. You can board the KSRTC bus upto Mandya and then any city or private bus. There are some buses which go directly from Bangalore to Melkote. There are buses that go from Mysore to Melkote. Alternatively, one can catch a bus that goes from Mysore to Tumkur (and onwards) and get down at a place called Jakkanahalli Cross. Melkote is around 6 km from there. Bus start from Platform No.2 of Mysore Bus Stand. Charges Rs.32/per adult. From Jakkanahalli Cross lots of share auto’s pay charge Rs.6/per person. Self Hire autos charge Rs.50 until Chelvanarayanan temple.